He’s bent down on one knee, looked you in the eyes and given you the promise of a lifetime together. You said, “Yes!” but now you’re saying “Oh no!” Now that you’re planning a wedding there are so many things to do, so many plans to make, especially in Alexandria which offers everything from Old Town charm and history to beautiful luxury and historic venues in the DC, MD and Northern VA metro area. To put your mind at ease, you need to hire…At Your Service Events Planner LLC! Surf the web. At Your Service Events Planner LLC has two locations–Alexandria VA and Chevy Chase MD. By simply typing “Event Planners Alexandria”or “Event Planners Chevy Chase”into your favorite search engine, a lot of results will pop up. Begin checking out their sites and keep a list of the top 5 or 6 that excite you. We hope that At Your Service Events Planner LLC will be top of mind! Contact At Your Service Events Planner LLC. 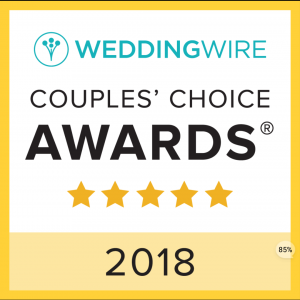 If you already have your date set or in mind, be sure to first check that we are available and you can hire us to plan your DC, MD or VA event. If we are available, continue the dialogue based upon what you’re looking for us to do for your day. Try and narrow your list of planners based upon availability, personality, knowledge and experience. Meet with the potential event and wedding planners. Now that you’ve narrowed your list, set-up a time to meet with the event and wedding planners either in their office or in a neutral location. While you should discuss specifics about budget, colors and how you imagine the day, this stage is really about gauging your potential event planner. Do your personalities compliment each other? Some people want a strong-willed wedding planner, while others merely want some assistance. Also, be sure to look at their reviews. A wedding and event planner should be happy to show them to you. Make your decision. Now is the tough part. Hopefully out of the few people you met with, you found a connection, and we hope your decision will be At Your Service Events Planner LLC! But a note of advice would be, don’t skimp on the price here. 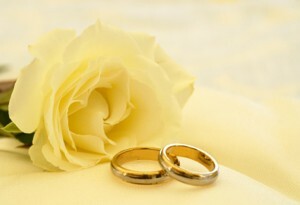 If we are truly going to be the brains behind the planning of your important day, you want a good set of skills. We offer you value, quality, attention to detail, creativity, great skills and exceptional service. You get what you pay for! Use us! You hired us, don’t be afraid to ask questions. After all our knowledge and expertise is why you hired us. Let us help you plan your unforgettable dream day! 2 Comments on "How to Hire a Wedding or Events Planner in Alexandria"
Hello all. My name is Steve Freeman. My band plays wedding receptions throughout Virginia. Please visit our site. Hopefully we can work together. Thanks and Happy Holidays! Thank you for contacting me. I would love to work with your band for weddings and parties. Please send me your business cards and brochures to At Your Service Events Planner, PO Box 11824, Lynchburg, VA 24506.